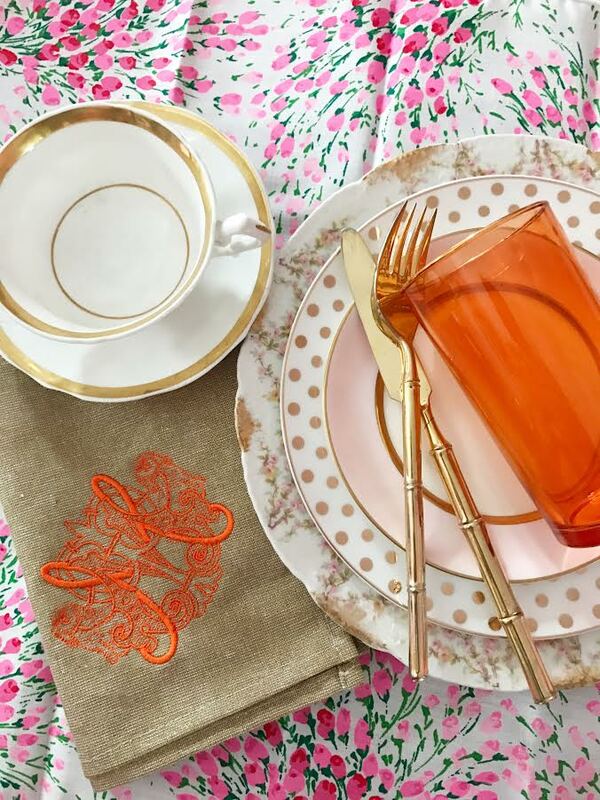 This year for Valentines Day I have chosen to use two shades of pink, gold and orange. 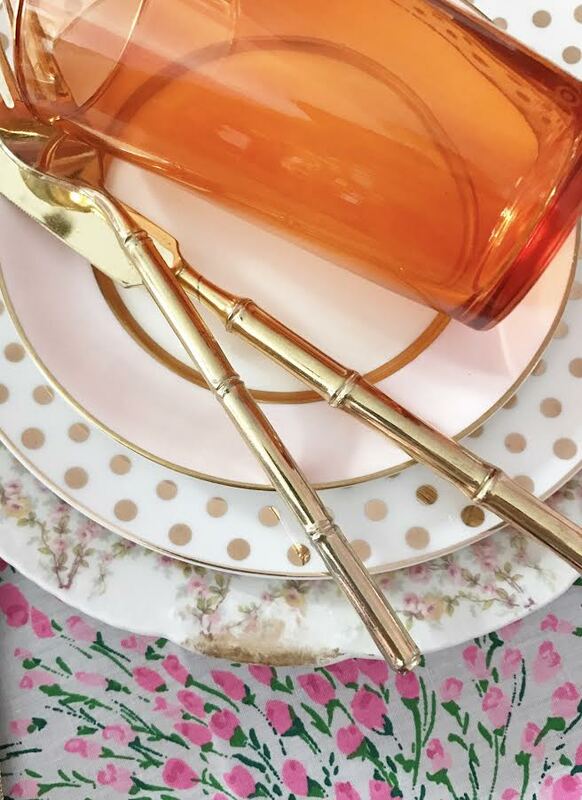 I think the orange is perfect for a fabulous twist and I love using pink and orange together. We are hosting dinner for two couples so a table set for six is the goal for the evening. I haven't completely decided on which plates to use so I am playing around with the ones we own and deciding which plates are perfect for my new Emily McCarthy napkins. I do love the Limgoes, Pink dish, Gold Dot dish combo above but that could change in a New York minute with me. I am using the napkins as a starting point, aren't they di-vine? 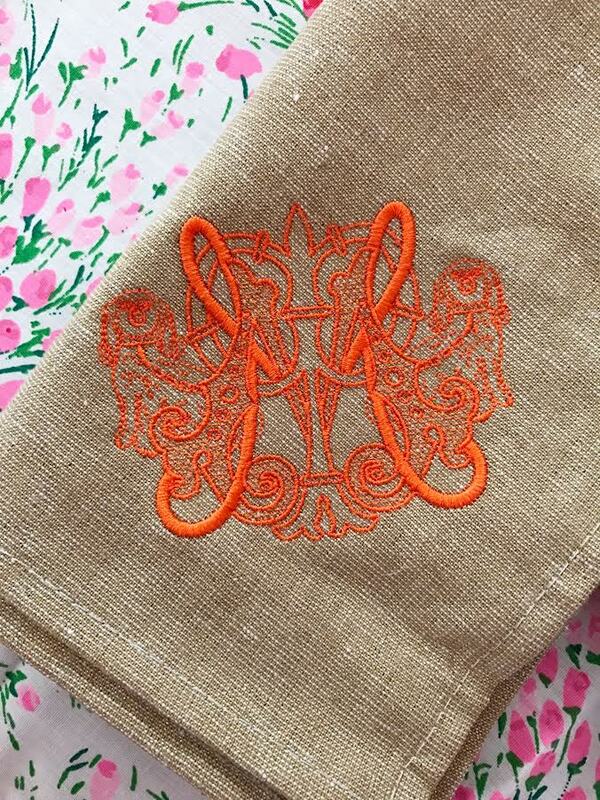 I ordered these gold shimmer napkins with my couture monogram in orange. I can't wait to use them! 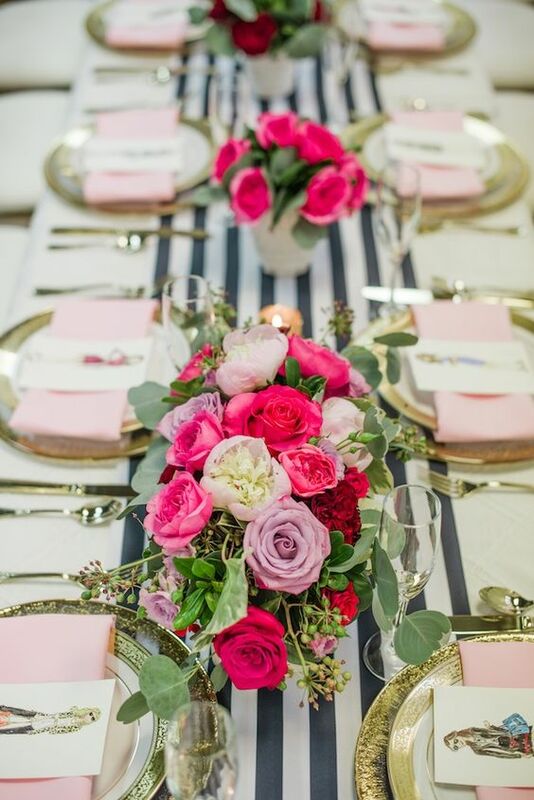 I have been scrolling through Pinterest looking for table ideas and found some incredible inspiration. I sometimes wonder how I functioned before Pinterest ... maybe the huge pile of magazines and tear sheets got me through. I am using one flower arrangement for the center of the table which is new for me. I will be working on this before to figure out how to make it happen. I am a girl who gravitates toward smaller arrangements but its a new year and a new me and I am pushing my limits. Isn't this one gorgeous? I have pulled our gold bamboo flatware for the evening. 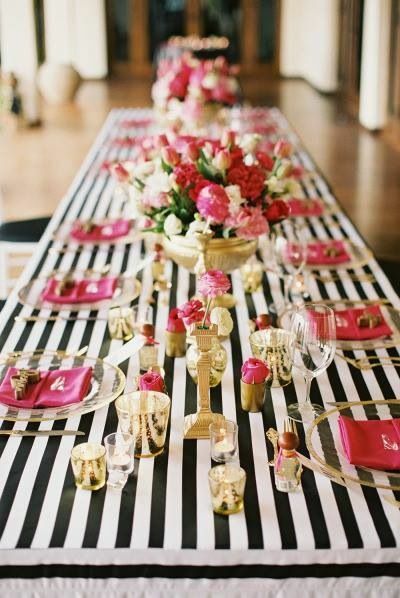 I love using gold with pale pink and I think it will stun with the orange details. 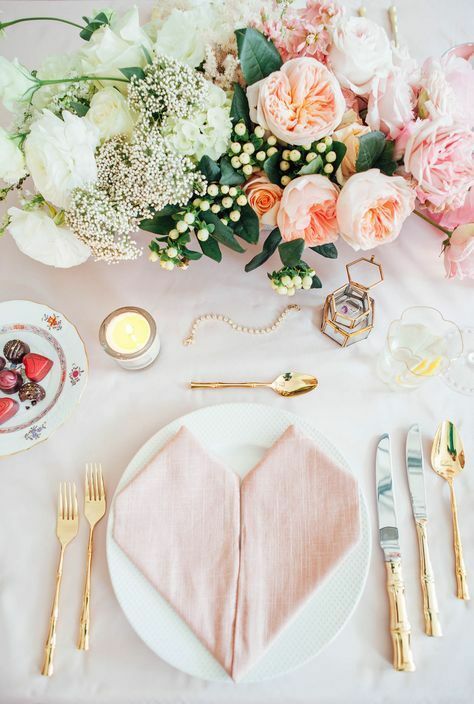 This image from Rue Magazine has me gaga over that incredible napkin. 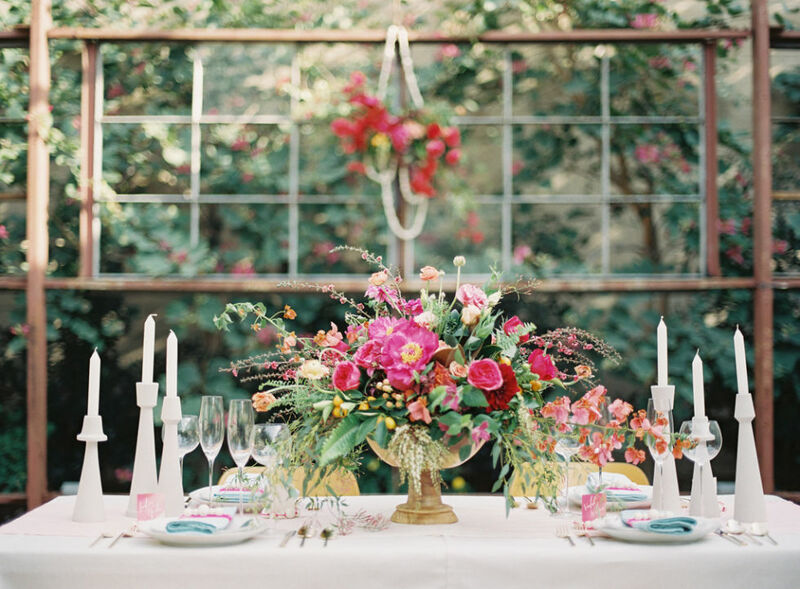 Once again with the single large arrangement of flowers in the center of the table. Clearly I am drawn to it, now to just master it. 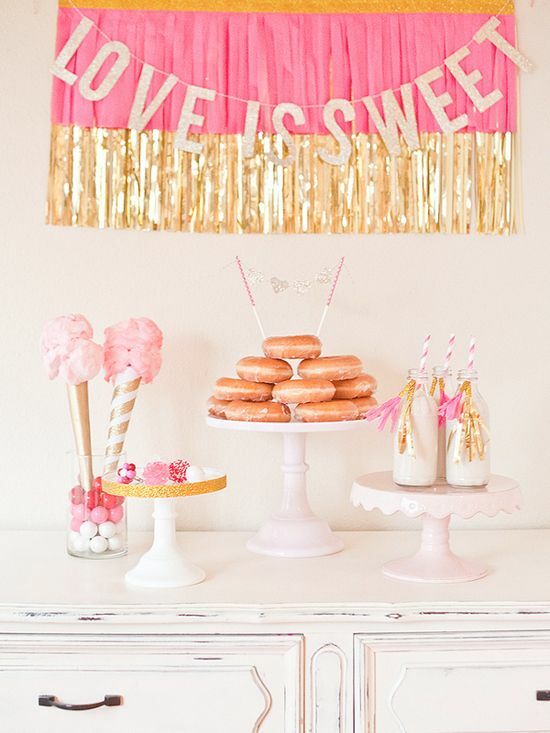 I love seeing all these images for a dessert table and I also love the idea of not having to choose just one dessert. How darling are these tiny cotton candy with the fabulous gold tubes? Yes please! Lucky for me I am not in charge of dinner that evening as Lawyer will be making something amazing. We haven't set the menu just yet, but I am thinking something along the lines of the amazing menu Fancy Ashley created last year would be perfect for the evening. And since I already compiled a play list I can scratch that off my to do list as well. Now to just finalize the table ... oh, and work on my flower arranging skills! You have just given me a reason to seek out gold flatware. I'm crazy about bamboo in all forms. Beautiful post!